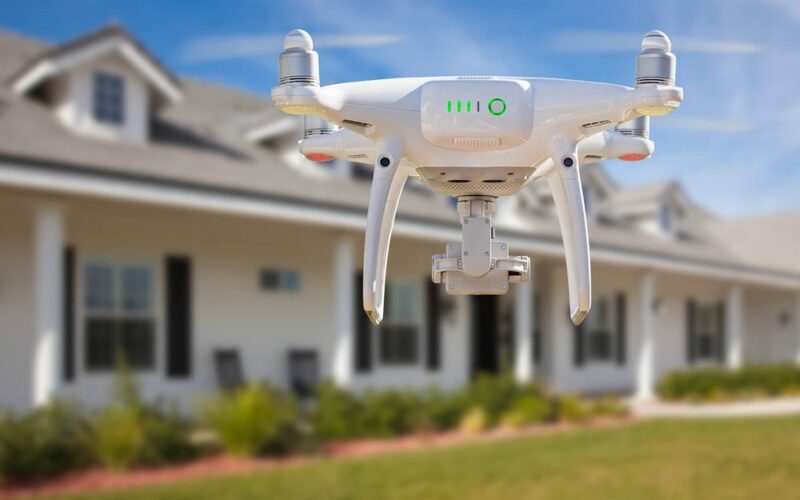 Some home inspectors use camera-equipped drones to aid in roof inspections. Here are some of the benefits of using aerial drones during roof inspections. Inspectors use drones to safely access steeply-sloped or damaged rooftops. Aerial drones obtain images of rotting or severely damaged roofs that are unsafe to walk on, allowing the inspector to view inaccessible areas. Using aerial drones during roof inspections allows home inspectors to photograph the building from an aerial perspective. This service helps inspectors not only identify damage to roofs, but provide the home buyer with photos of the entire property that include outbuildings, barns, docks, and more. A hazardous roof limits the abilities of an inspector who doesn’t use an aerial drone for inspections. Rather than defer this portion of the inspection to a third party, an inspector who is equipped with a drone can inspect any roof. This saves the customer time and money on inspection costs. Images from a drone help inspection companies to safely document the condition of hard-to-access locations more effectively. The photos included in the inspection report provide an accurate assessment of the condition of the roof. Choose a home inspector who uses an aerial drone, especially if your home has a high or steep roof or your property covers a large area. You will receive a more detailed inspection report with aerial photos of the roof and the property around the house. Redtail Building Services serves Southeastern Virginia with home inspections, including drone inspections. Contact us to request an appointment.